Yep, I hope to watch THE SHOOTING again. 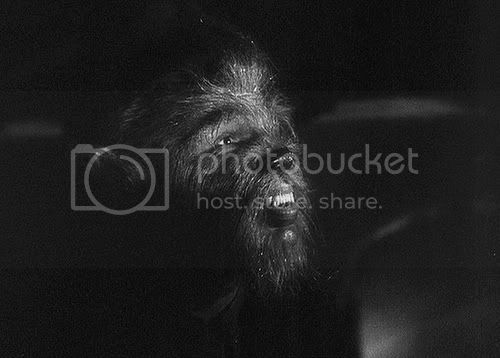 Saw it on a bad VHS copy years ago. Hopefully the DVD is better quality transfer. It's a low low budget Western. A few horses and about 3 actors in the desert if I remember correctly. That Stan Katzman set looks nice. How much? Thanks for the info Evan. 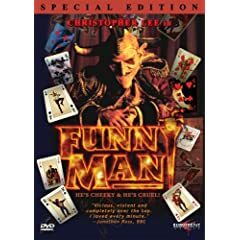 Got a new copy of Funny Man for a good price on eBay. From what I've gathered from reviews, the DVD is quite nice in terms of picture quality and is anamorphic widescreen as well. Here's a link to a thorough review of it. WOW! The Dennis Ray Steckler set looks tight and outta sight! I most invest! 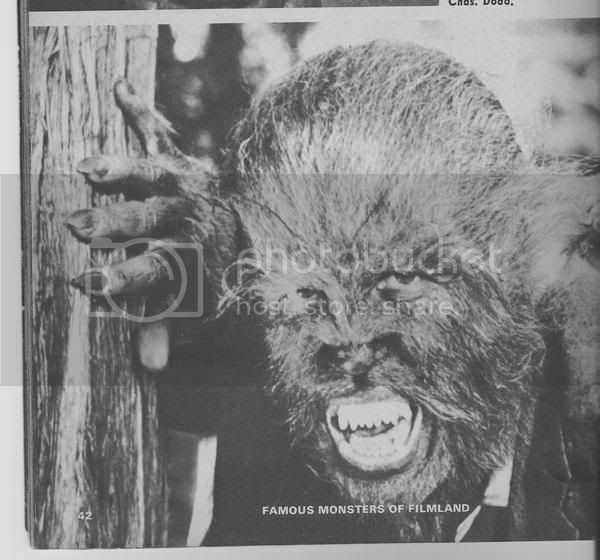 I always liked how the WEREWOLF and the werewolf from RETURN of the VAMPIRE are very identical! Today was the day of reckoning. The parent company to Hollywood Video filed bankruptcy, and as such HV is now closing down stores and clearing out tons of merchandise. They had DVD's from $2-6. I walked away with a measly 35... God have mercy on me... Sure, some of them are probably pieces of crap, but they were cheap pieces. Holy cow, you got a lot of stuff. Last I check a nearby Hollywood video they were charging $7-$8 for older DVD's, and $12.99 for newer releases which is insane, but I figured the prices would drop on the last days. I might have to stop by and see if they're still open. 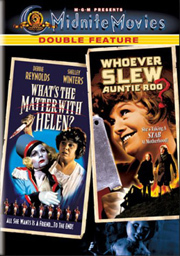 Anyways, I won a used copy of What's the Matter with Helen?/Whoever Slew Auntie Roo? on eBay a moment ago. Black Sheep and Dark Ride from Wally-Mart. our Hollywood Video is closing too, everything is 80-90 percent off,highest price for dvds i saw was 2.99.
i got Slashers and Godzilla Tokyo S.O.S. from there for 1.99 each. I just won this on ebay! For $9.39! 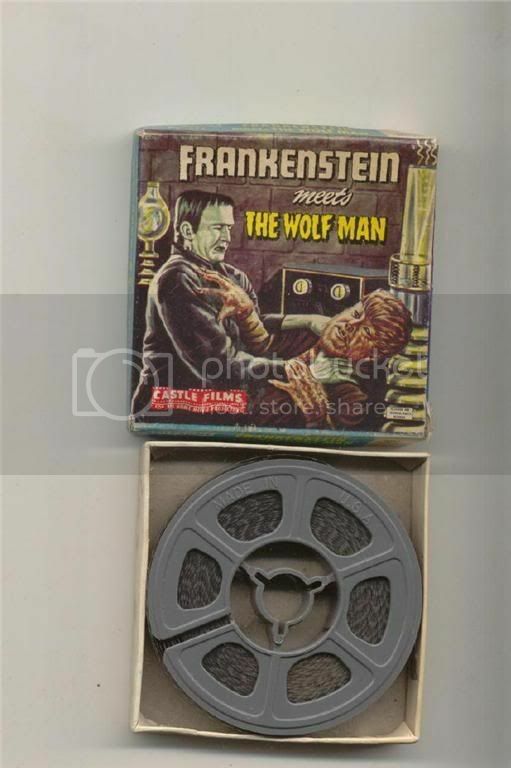 I don't have a Super 8 camera...but it'll look cool on my book shelf! Neato,man!